If your eyebrows are flattened or low they can make your face look older and less attractive. This procedure restores a natural appearance to the eyebrows, helps correct tired eyes, and softens forehead wrinkles. In some cases this procedure is done “endoscopically”, with small hidden incisions. This is a quick procedure with big results! A good chin makes your neck look better, your nose look smaller, and your lips look more attractive. Full cheeks create a more youthful face and brighter eyes. Dr. Spiegel will expertly place an appropriately sized implant, usually without any visible scaring. You’ll enjoy enhanced natural contours of the face and a greatly improved profile. This is a “small” procedure with big results! Procedure time:* about 1 hour and it can be done right in our office! Ever wish you had dimples to complement your smile? We can place dimples where you want, on one or both of your cheeks. With only a small amount of local anesthetic, you’ll leave with the natural looking dimples you’ve always wanted! Downtime:* almost none, and your new dimples will soften and get more natural after a week. Improve the appearance of large, protruding, or overly noticeable ears. Ears can be reshaped, pinned back, or reduced in size. Wear your hair up without worrying about your ears! Procedure time:* Typically 1-2 hours and can be done right in our office! Downtime:* a few days of redness, headband to be worn for 2-3 weeks. If you have a torn earlobe, stretched ear piercing, or gauge that you want closed we can help. Have your ears changed over time? If your lobes are too long, too big, or too thin we’ve also got the answers, just ask! 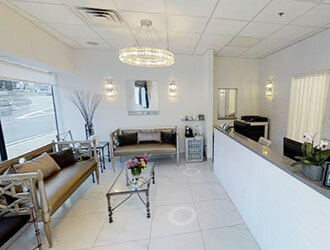 With an eye to detail, Dr. Spiegel considers everything to make sure you regain a natural youthful appearance. Downtime:* none, but stitches may be visible for one week. One of our most popular procedures! “Blepharoplasty” removes the excess fat and skin of the upper or lower eyelids and eliminates that “tired” look. You’ll look and feel brighter, younger, and more energetic. Results are very natural looking; people will only notice how beautiful your eyes look! Procedure time:* 1-2 hours and can be done right in our office. Tighten and remove loose skin and fat of the neck and face. 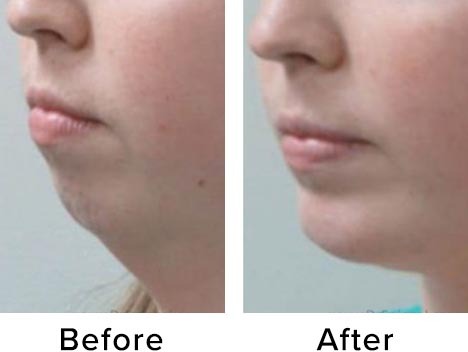 This is a perfect way to get rid of jawline “jowling” and sagging. 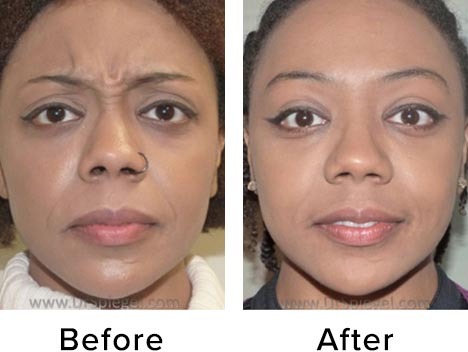 Our patients say it took 10 years off their face! Dr. Spiegel addresses each area of the face and neck for a natural, youthful appearance. For some people, a “mini” lift can be customized to target specific areas. 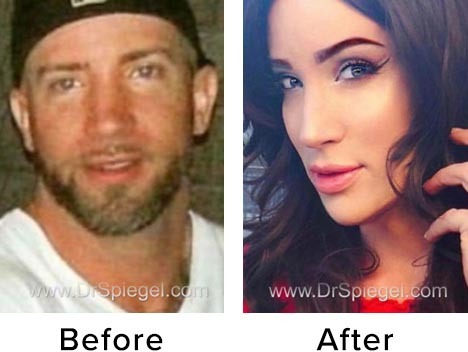 Dr. Spiegel is likely the most experienced surgeon in the world for this amazing procedure. If you have deep set eyes, prominent ridges above the brow, or other forehead irregularities, Dr. Spiegel can completely reshape the forehead and bone around the eyes. You’ll have a smoother, softer forehead with brighter, more open eyes. Adjusting your hairline and eyebrows are also done at the same time if necessary and desired. 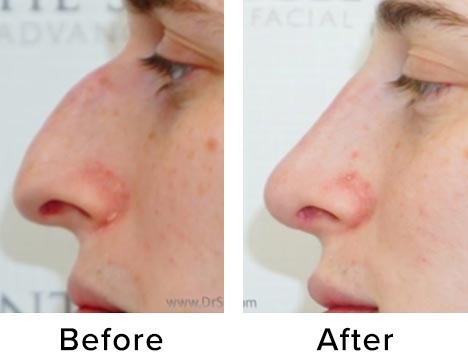 If you have a mole or scar you don’t like, we can help. Even hard to treat acne scars can be improved. There’s no one right treatment; Dr. Spiegel will create a customized plan for your needs. Procedure time:* Varies, though typically 20-60 minutes. Downtime:* none, though swelling or stitches may be visible for a week or longer. Do you have a high hairline or hairline recession? If so, this procedure may be right for you. Dr. Spiegel is one of the world’s busiest surgeons at adjusting the hairline and can advance, round, and reshape your scalp and hair. Often this is all you’ll need, though sometimes a few hair grafts afterwards perfect the results. Want a bit of everything? IPL can treat acne and acne scarring, improve the quality of skin, treat vascular and pigmented lesions, and even do hair reduction. Studies have shown that regular IPL treatments make your skin appear younger! This amazing procedure visibly improves the texture and tone of your skin by creating new collagen, regardless of your skin color! Improve acne scars, stretch marks, and blemishes without surgery. The procedure takes about 30 minutes. Downtime:* red skin for a few hours to a few days. Multiple treatments are needed for best results.